This was posted on February 1, 2019 by Sarah Maxwell. 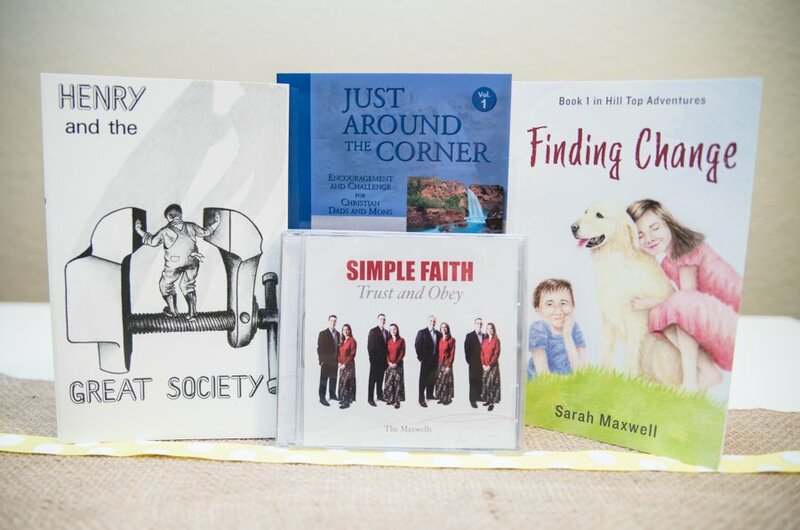 We’re giving away 5 gift bundles, and each one has these 4 items: Henry and the Great Society, Finding Change, Simple Faith CD, and Just Around the Corner: Volume 1. Henry and the Great Society – This fictional, short, heart-rending story is a dynamic read illustrating the futility of pursuing a high consumption lifestyle. Finding Change – We couldn’t resist including my newest book, which I’m still super excited about. Simple Faith CD – This CD is a perfect listen for families. It’s a beautiful blend of voices and instruments. My favorite song on the CD just might be Daddy on His Knees, but Give Us Rain could be a close second. Leave a comment below with either why you like the Titus2 blog or something you appreciate about a Titus2 resource. Entry limited to one comment per person (but individuals in a family are all welcome to enter separately). Giveaway ends Wednesday, February 6th, at midnight, Central Time. Five winners will be selected randomly from the comments, and you’ll be emailed for your name and address. Entries are not limited to the United States, but out of the 5 gift sets, we’re designating 1 for an international reader, due to the cost of postage. The first international reader to be drawn will be the winner, and if out of the other 4, there are more, we will re-draw for United States winners. International readers: please leave your country name in some part of your comment, so we know that’s where you are from! Happy 2500 Blog Post Anniversary! My wife and I first learned about Titus2 before we had children, 16 years ago. We have enjoyed many of your resources, but a favorite has been the Moody books. We have read them any times over the years and are looking forward to the new series! I love how fun and down-to-earth all these blog posts are! We have also loved the Moody books! oh my, I don’t know where to start saying enough about your books. Probably one of my favorites is “Making Great Conversationalists”. I was so so very shy as a child and I only wish someone had helped me to know how to keep a conversation going. It would have made my “growing up” so much less difficult! But really I love every book of yours that I have read. 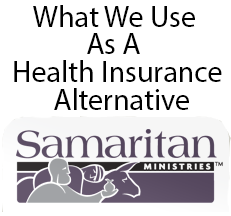 I am so thrilled that they are God centered! I love the book Homeschooling with a Meek and Quiet Spirit as well as the books about the Moody family. (My kids love those too!) I also read one of Teri’s Bible studies. I love that they challenge me to press into Christ more and be a more godly woman and mother. Our family has been tremendously blessed by your ministry. After meeting with Steve and being encouraged to set a vision for our family, I sought the Lord and he confirmed many of the principles that you have taught through the years. We are learning to be an autodidactic family, and have been blessed by the benefits of learning and growing together as a family. Thank you for letting your light shine so that we can see and glorify our Father in heaven. I appreciate the honesty & encouragement on the blog! Congratulations!